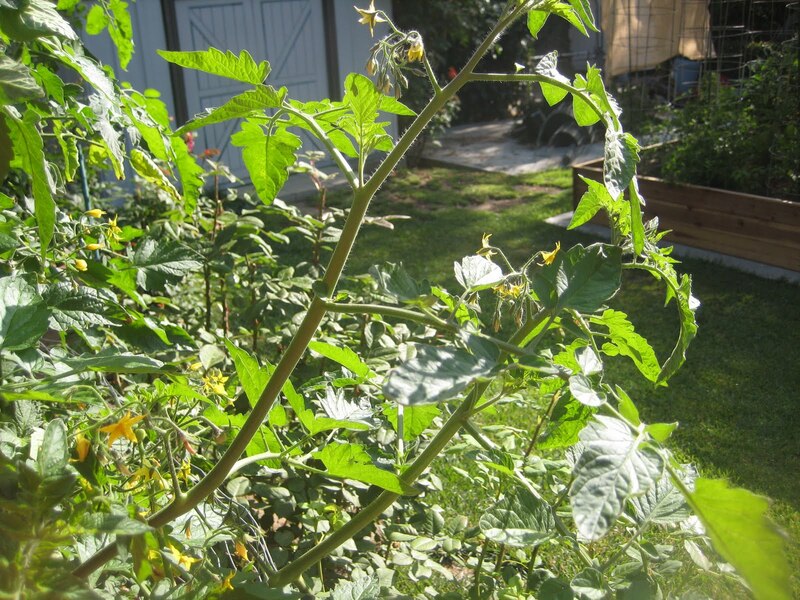 Remember in Tomato Growing Class we talked about staking your plants? Consider this to be your not so subtle reminder...staking is something that needs to be done throughout the growing season! 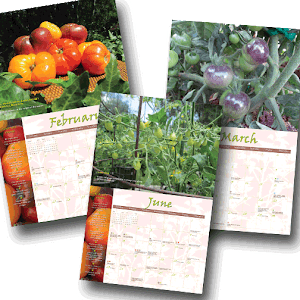 Here's another reminder - those indeterminate varieties that you put in at the end of March will probably get six to eight feet tall by the end of the season! 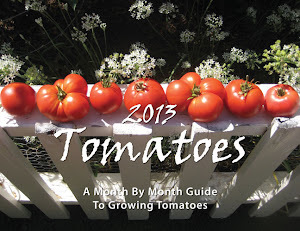 Flowers form all along the branches, so when they grow into heavy tomatoes those branches get really heavy. Something has got to support those puppies so they don't bend and break! 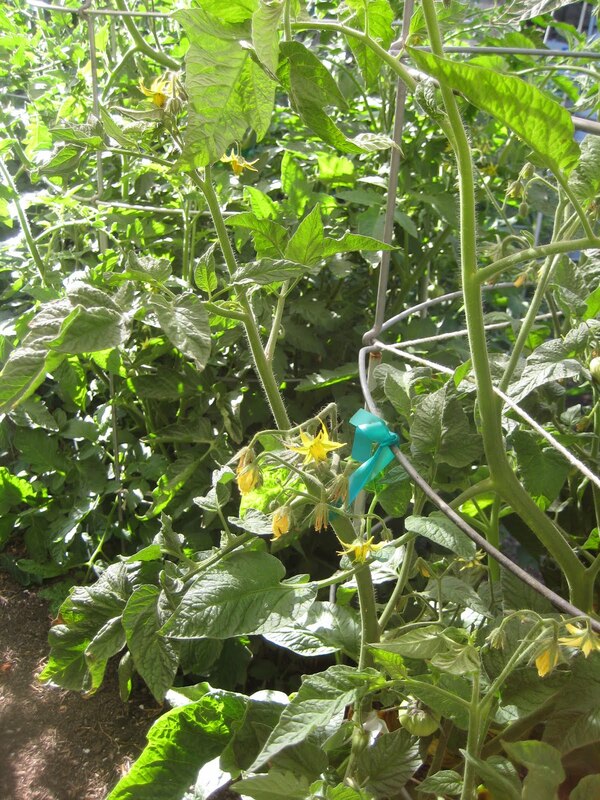 I use 3/8" plastic gardening tape, or when I have it, gardener's velcro to loosely tie the main trunk of the tomato plant to the stake at the center. That stake went in the same day that I put the starts in the ground. 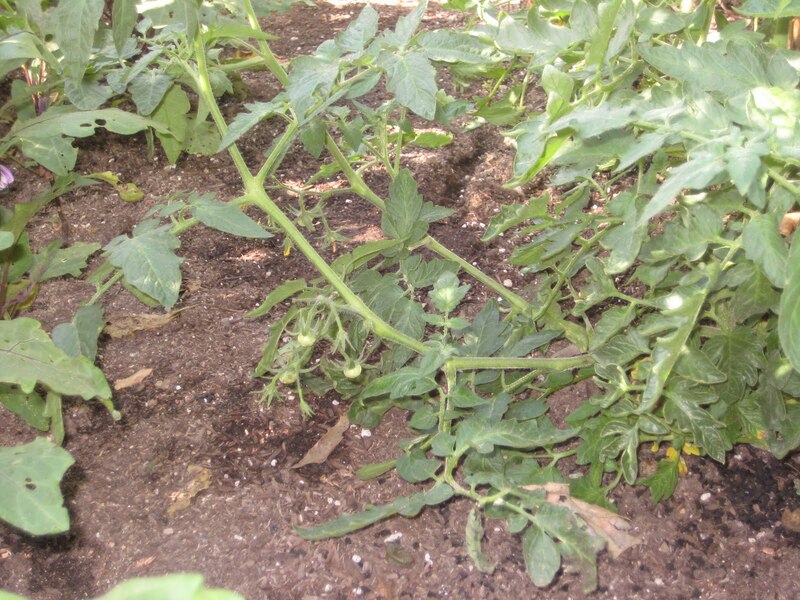 Don't add stakes now as they can damage the tomato's roots. 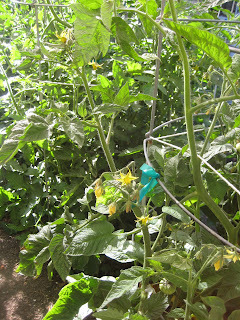 I also cage the tomatoes when I plant so the support is there for the lanky branches when the time comes. Gently tie the branches to the cage to keep them supported. You want to support the main trunk and the flowering branches at 1 1/2 foot intervals. Loosely tie the supports just under the branch that is fruiting. In the event that you miss a branch and it does fall and break - don't panic. Happened to me just last week...the branch had lots of flowers on it so I didn't want to remove it. Instead, I reminded myself that tomatoes grow like weeds and they must be able to withstand a little break in the stem. 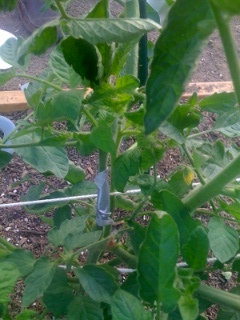 Then, I got out the duct tape, repaired the break and the branch and flowers are as happy as can be!